Bit World is run by “PJ” Hutchinson and assisted by her husband Wayne. It all started back in 1972 when PJs father, Bob Swarbrick established Grimston Saddlery, specializing in hunting, side saddle and polo. A “two day a week” hunting family in the heart of the Quorn hunting country, they looked after the horses for Captain Fred Barker who was Master at the time. Showing to top level followed both astride and side saddle. PJ then spent some time with work experience at Jennie Loriston Clarke’s before a couple of seasons at Walter Wharton’s racing yard. A few point to point rides followed including a win surviving an infamous Quorn Members race! PJ then team chased successfully with the Open team of the Teetotalers with Richard Chandler, Gerald and Molly Morgan. PJ also did all the early road work with Desert Orchid in his younger days. In the late 80s PJ joined the business and gained her City and Guilds Certificate in Saddlery and Leatherwork and completed two years training in Saddle Making and Bridle Making with CoSIRA. Bit World evolved when they decided to specialize in bits and bitting. Having always had a fascination of bits through a collection of bits in which many of the more unusual ones are on display in the shop in turn led to creation of Bit World. The shop stocks all the major makes as well as the standard ones available and many bitting accessories including various styles of unsual nosebands. 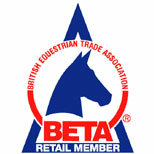 Wayne and PJ have attended many Equestrian Retailing courses held by Beta over the years including the Beta Lorinery and the Beta Advanced Lorinery Course. In March 2010, PJ became a Myler Bitting Advisor, which is a recent concept of Myler even though we have been selling the Myler bit range for the past eleven years. Coming from an equestrian background and being in the trade for many years, we feel we are in a position to give sound, practical advice, based on over 40 years experience. Bit World supply to many leading names in the Eventing, Racing, Show Jumping and Dressage world. Three of our favourite quotes. "No horse was born a puller ! " "I frequently tell my friends, that out of every twenty bits I make, nineteen are for men's heads and not more than one really for the horses' head." Going up hill, Whip me not. Going down hill, Hurry me not. On level ground, Spare me not. Loose in the stable, Forget me not. Of hay and corn, Rob me not. Of clean water, Stint me not. With sponge and brush, Neglect me not. Of soft dry bed, Deprive me not. Tired or hot, Wash me not. If sick or cold, Chill me not. With bits and reins, Oh ! Jerk me not.